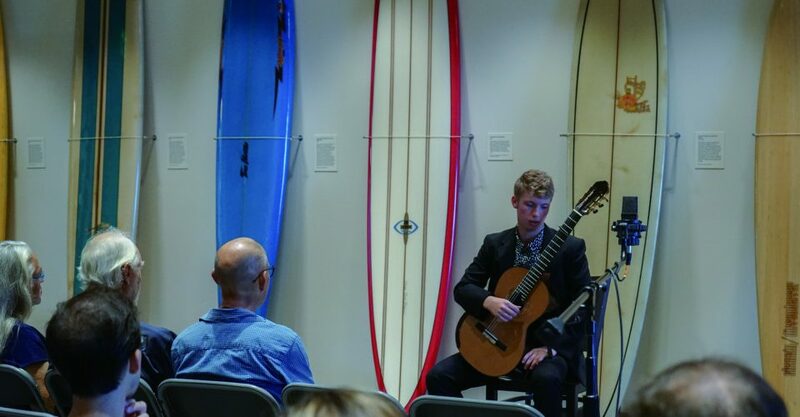 Pepperdine’s Classical Guitar Department students kicked off their semester of Mary Pickford-Stotsenberg Performances on Tuesday, Sept. 11 in the Payson Library, filling the Surfboard Room with acoustic music. The first performer of the night, junior Joseph Hertz, began with two pieces. Then, senior Hope Mueller, junior Jonathan Pryde, freshmen Keaton Woodburn, Josiah Frias and Wesley Ruby also performed classical pieces. These feelings seemed to be shared across the guitar department. One member of this crowd was senior Alexis Raymond. The guitar department’s fall semester is tightly packed with concerts. After their first concert Sept. 11, they also played Sept. 14 and 15. Additionally, every guitar major is required to play twice a semester at Music at Three, which is a weekly recital for all music majors. Meanwhile, guitar minors must perform once a semester. 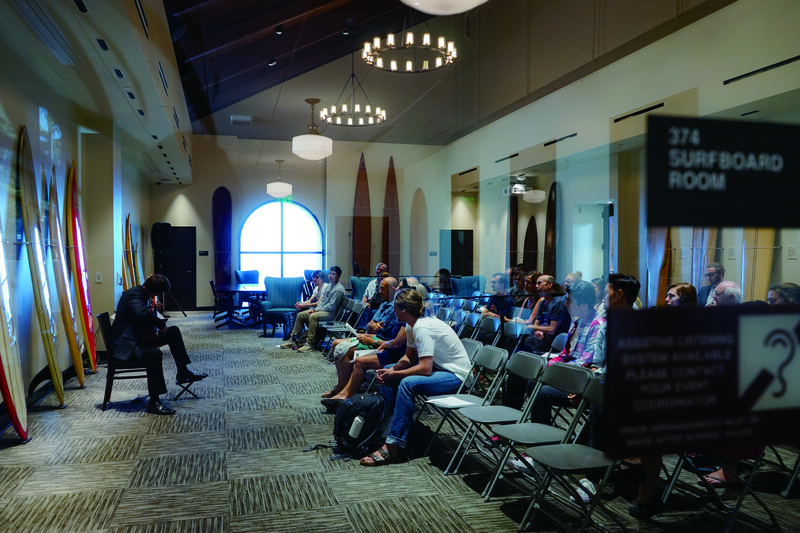 There are also monthly concerts in the Surfboard Room at 5 p.m. on the second Tuesday of every month, known as the Mary Pickford-Stotsenberg Performances, as well as at the Malibu Public Library at 3 p.m., on the second Friday of every month. Guitar students also perform in a concert series in October and November and are asked to put together ensemble pieces, duets between another guitarist or a vocalist, to perform at the end of the semester, Mueller said. Students in their third year at Pepperdine perform their Junior Recital, a half-hour long concert that showcases the skills a student has accumulated in the department. They also perform a Senior Recital in their last semester. When midterm season approaches, the guitar ensemble class is assessed through a recording session, said Hertz. These professional recordings can be used to showcase a student’s work, act as a resume for music-related jobs, or be used in the creation of an album. But Pepperdine’s guitar department is unique. Many students, such as Hertz, attribute Christopher Parkening to their decision to come to Pepperdine. “[When choosing schools], I was personally looking for the closest person to Segovia, and Christopher Parkening was his best student,” Hertz said. According to his website, Parkening has performed around the United States, such as the White House, Lincoln Center, Carnegie Hall and the Grammys, and has amassed awards such as the Lifetime Achievement Award and the American Academy of Achievement Award. 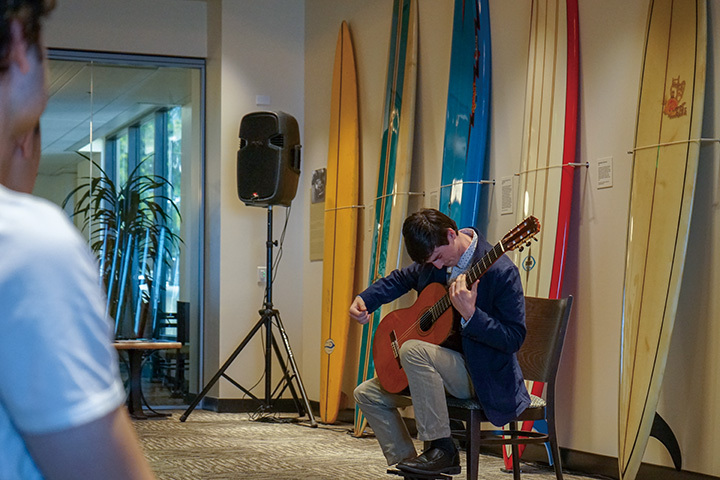 This spring, the Parkening International Guitar Competition, the most prestigious classical guitar competition in the world, will be held on campus. 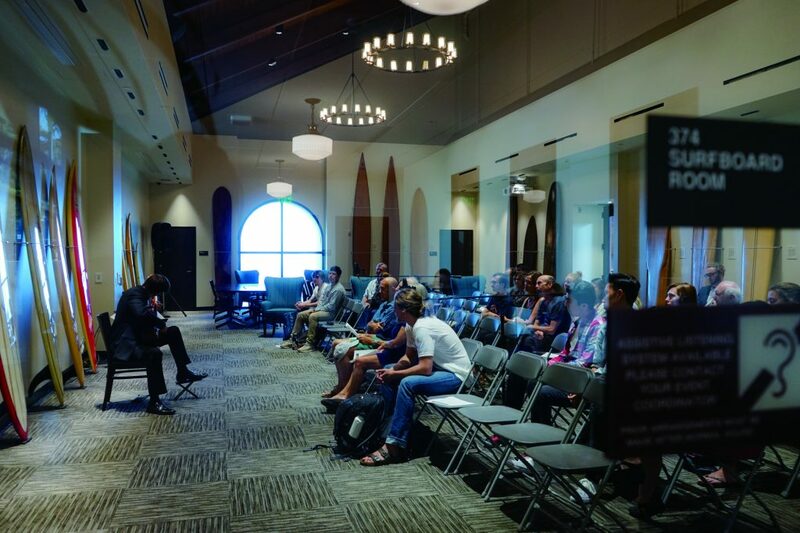 Students in the Classical Guitar Department at Pepperdine University work closely with Professor Parkening, attending weekly private lessons with the award-winning protege. Many students speak highly of their professional relationship in their studies with him. 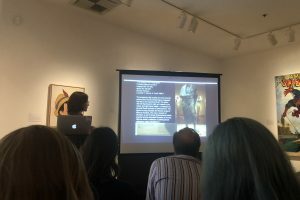 “Our pieces are not necessarily for [Professor Parkening], but they’re all influenced by him,” Hertz said.